No Kill Columbia mission is to end the unnecessary killing of companion animals in Columbia by increasing community involvement through awareness and education to become No Kill Columbia. We are driven to mobilize the people of Columbia to stand united and petition all efforts at the Central Missouri Humane Society be applied to a proven life saving program, No Kill. Founder of the No Kill Movement, Nathan Winograd has created 11 steps better known as the No Kill Equation, and when successfully implemented in city and rural open door shelters across the US and abroad, has resulted in dramatic and rapid results in augmentation in lifesaving rates of adoptable animals in their communities. Success without increased cost or liability but with leadership, compassion, community support and hard work! We envision the City of Columbia proudly be declared a No Kill Community by; citizens, animal welfare organizations and City Government officials. To be recognized as a community who is progressive when it comes to the care and protection for our companion animals, a leader in Mid Missouri! Implementing the No Kill Equation in our local shelter would protect animals like Walker. "Hi! 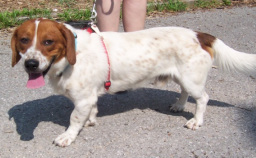 I’m Walker, a Basset/Hound mix. I waited patiently at the shelter hoping someone would pick me. I loved going for walks with volunteers. After being confined to the shelter, I started getting very anxious and territorial. I was then euthanized for aggression."